Steve Wakeland has worked in technology risk management and information security at various industrial and financial services organisations for over 30 years. He joined ITSO Limited in 2011 as Governance Manager to lead compliance through the implementation of policies and procedures across the ITSO membership. 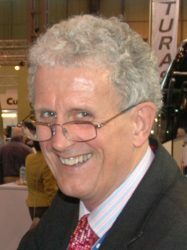 Steve became General Manager of ITSO Limited in January 2015.